The leading Brazilian politician José Serra celebrated his 70th birthday on 19 March 2012. But even at this age the pugnacious former president candidate is in the middle of a new fight for the future of the country. Serra received 43 million votes in the presidential election of 2010, but was unable to prevent the little-known Dilma Rousseff – who benefited greatly from the support of her ally and patron, the immensely popular departing president Luís Inácio Lula da Silva – from claiming victory with over 55 million votes. In his latest campaign, Serra is again facing someone chosen by Lula – with the prize this time being the mayoralty of São Paulo, the biggest city in Brazil and the core of Brazilian capitalism. São Paulo is Serra’s political birthplace and heartland. He has already served as congressman, senator and governor of the larger state which carries the same name as the capital. He also spent time as the city’s mayor, in 2005 – but this counts less in his favor, since he left the job after one year out of eagerness to move into the main office of the Palácio dos Bandeirantes, the headquarters of the Paulista governorate. Serra announced his candidacy only at the last moment, on 27 February – partly as he was still contemplating a third run for the presidency (he lost to Lula in 2002 as well as to Dilma in 2010) at the end of Dilma’s first term in 2014. He has a hurdle to climb before he could compete for the mayoralty: an election on 25 March among São Paulo colleagues of his Partido da Social Democracia Brasileira (PSDB) that chose the party’s official candidate. He ended up winning with 52% of the votes, in a field of 3 candidates. His main opponent will be Lula’s former education minister Fernando Haddad. Indeed, Lula directly interfered in the internal election process of his Partido dos Trabalhadores (PT) in order to ensure his favorite’s victory. It all matters greatly in Brazilian politics, both because city mayors and state governors play a powerful role in Brazil’s system, and because these positions are also often stepping-stones to a national profile and position. The next big election-days are 7 October and 28 October 2012, when over two rounds more than 130 million Brazilian voters will choose mayors and representatives for their 5.500 municipalities. The choice of Fernando Haddad was controversial, not least among the PT’s militants in São Paulo who would have preferred the feminist senator Marta Suplicy to be the party’s candidate. Lula’s rationale is that Haddad is better placed to challenge the PSDB’s position in one of its state strongholds. The PSDB governor of São Paulo state, Gerald Alckmin lost to Lula in the 2006 presidential election, and the party has been in power there since 1990. Lula’s strategic calculation is that the Paulista city hall is a realistic objective for the PT, which itself was forged in working-class struggle in São Paulo. So the dispute between José Serra and Fernando Haddad in São Paulo will also be another major battle between two parties that for two decades have been at the center of the Brazilian political scene: the PT and the PSDB. The turning-point was 1994, when – after a series of failed efforts to bring stability to the Brazilian economy following the end of the military regime in 1988 – the real (currency) plan led by former president Fernando Henrique Cardoso cut inflation and guaranteed the PSDB’s hold on the presidency for two terms. Then, in 2002, Lula’s fourth attempt to win the presidency was successful; he also served two terms before making way in 2010 for Dilma Rousseff. 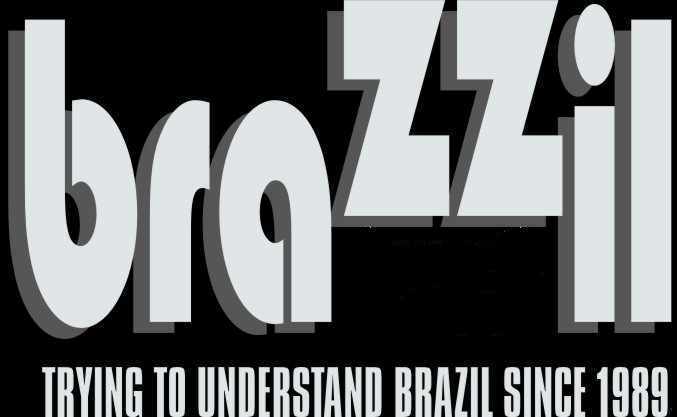 What makes the São Paulo dispute especially sharp is that both parties originate in the city. The PT was created in 1980 by workers in local industries, with its leader Luís Inácio Lula da Silva gaining prominence in the fight against the then military regime; the PSDB was born in 1988, clustering around an intellectual Paulista elite. In that sense, the current political polarization between the parties can also be seen as an expression of an ongoing class struggle at the heart of Brazilian capitalism. Who will win the São Paulo race? Serra would be a very strong candidate. In 2010, he received 53% of the votes in the city against Dilma’s 46%, and early polls after the announcement of his candidacy showed him twenty-seven points ahead of Fernando Haddad. Even before this, Lula – believing that Serra’s real ambition was Brasília and the national presidency – tried to persuade Gilberto Kassab, the current mayor of São Paulo – he assumed the position in 2006 after Serra stepped down to run for state governor – to support Haddad’s campaign. Kassab, who later broke from Brazil’s Partido Democrático (DEM) to form his own Partido Social Democrático (PSD), seemed close to making a deal with the PT, which in turn put pressure on Serra to stand – for Serra knew he would be blamed if the PSDB were to lose power in Brazil’s economic capital. In the event Kassab resisted Lula’s lure and stayed loyal to Serra. In the context of these political calculations, the result of the São Paulo race is open. Against Serra is the suspicion that he could still step down as mayor to run for the presidency in 2014; 66% of voters, according to Folha de São Paulo, believe Serra, if elected, will not stay until the end of his term. But Haddad too is handicapped by administrative scandals in the ministry of education during his tenure, especially the management of a national test that ranks Brazilian students for university entrance (the Exame Nacional do Ensino Médio [Enem]). He still has to win over the reluctant PT militants in São Paulo. And he cannot expect Lula, who is suffering from cancer, to be in the best condition to give support during the campaign. The result of the São Paulo contest will be vital to Brazil’s political future. If José Serra wins, the PSDB will remain strong in the city and in a good position to keep hold of the state governorship. If Fernando Haddad wins, this will reveal Lula’s continued power and popularity, and give the PT a good chance to take executive power from the PSDB in the next São Paulo state election. But some political consequences of the election are being felt even now. Serra’s decision to run for mayor opens the way for another major PSDB figure, Aécio Neves, to be the party’s candidate in the 2014 presidential election – on the grounds that if Serra takes São Paulo, another premature resignation would greatly damage him, and if he loses, he would be too weakened to rise to the candidacy. This makes Aécio Neves, senator from the important state of Minas Gerais – and recently described by elder statesman Fernando Henrique Cardoso as the PSDB’s “natural candidate” for the next presidential bid – look like an early beneficiary of the São Paulo dispute. But it may take longer than he or his party would like. After fifteen months in office, Dilma Rousseff is approved by 59% of the population. This compares favorably with Lula’s 42% at the end of his first-term first year, and 50% at the same stage in his second term. Moreover, Aécio Neves knows that he may have just one chance. The Paulistas are now looking to 2018. Arthur Ituassu is professor of international relations at the Pontifícia Universidade Católica in Rio de Janeiro, Brazil. You can read more from him at his website: www.ituassu.com.br. This article appeared originally in Open Democracy – www.opendemocracy.net.